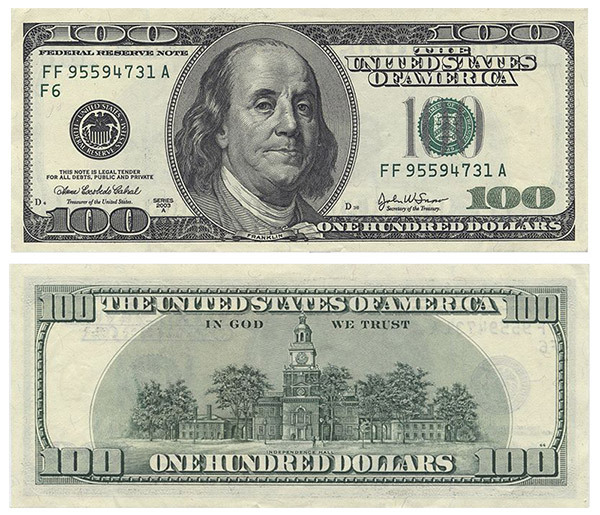 A new 100 dollar bill went into circulation last month (October 8, 2013 to be exact). It was estimated that the currency costs 12.6 cents to make with a special blue ribbon woven into the middle of the bill. 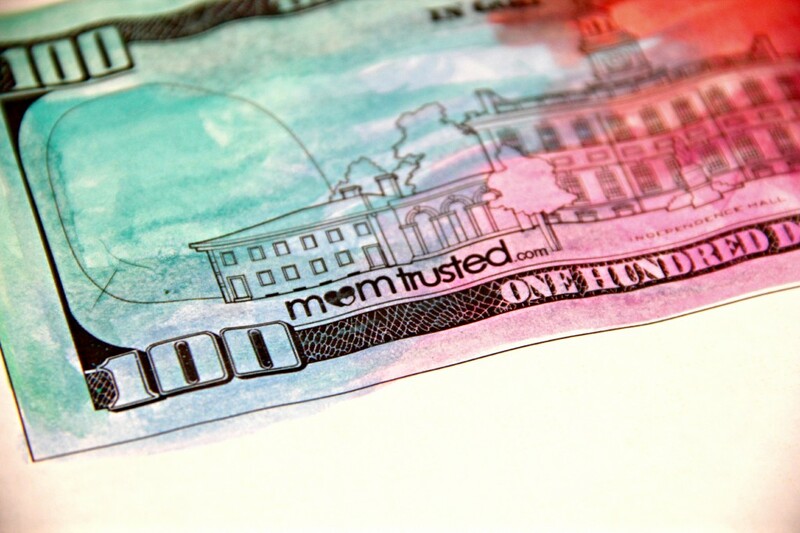 We wanted to learn a little about the spiffy new $100 bill so we did a little research and made a coloring page of it. We had lots of fun looking up facts as well as decorating our new play money. We used watercolors and resistants and had some great results. If you want to try the resistant method, simply color the area with a white crayon that you do not want to paint. Then paint over the whole sheet with the colors of your choice. The paint bubbles up off the crayon leaving the area different than the rest of your painting. We kept the paint over the crayon because we thought it looked cool but you can blot most of it off if you want to to keep it clearer. Once your play money is dry, cut them out and play store or a different game with money. 1. 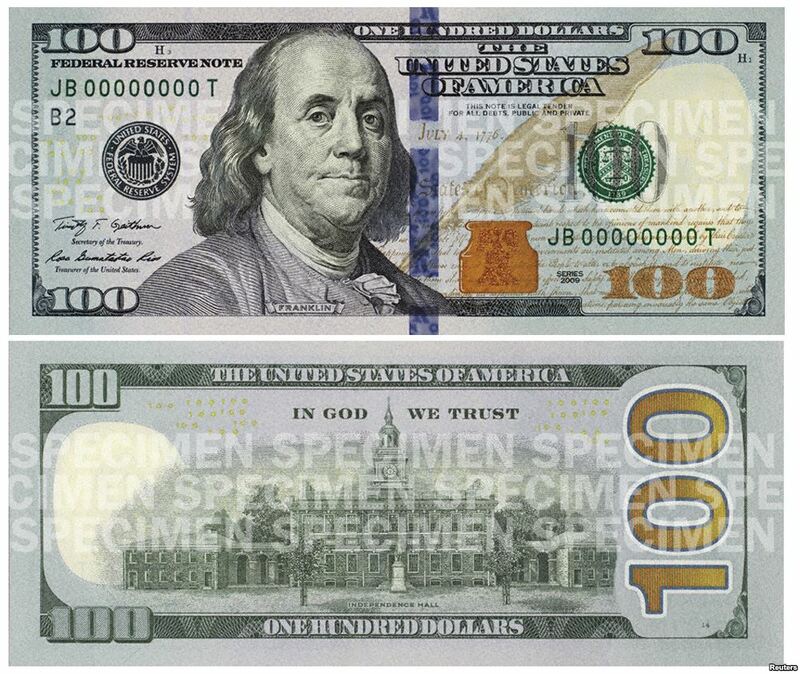 Download a picture of the new $100 bill and an old $100 bill. Try to figure out what is the same in the old and new versions. Then try to figure out what is different between them. 2. 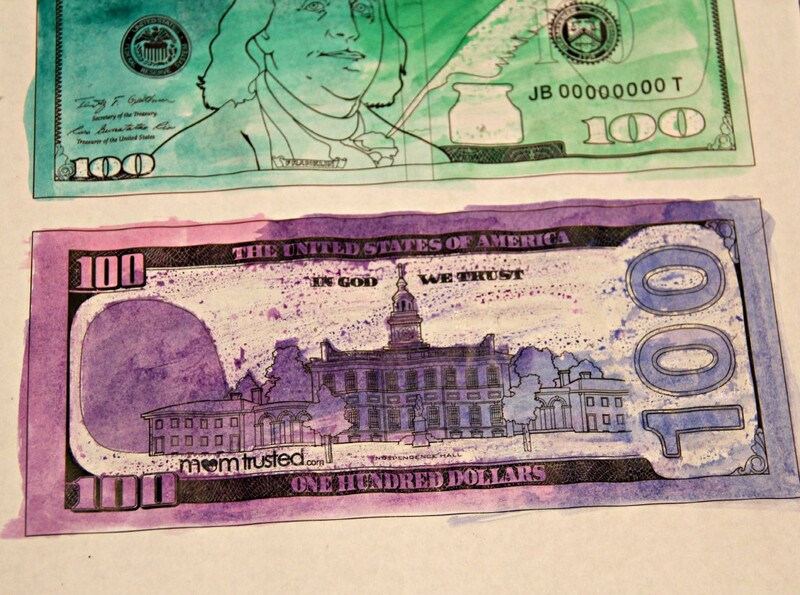 If you designed a new $100 bill what would it look like? This can be a broader classroom conversation / activity or individual project. 3. How much is $100? How many $1s is that? How many $5s is that? How many $20s is that? How many pennies is that?! Use real money to show amounts. 4. Measure it by buying power. What can you buy for $100? Bring in shopper circulars and cut out things to see what adds up to $100. This is great for class discussion. 5. 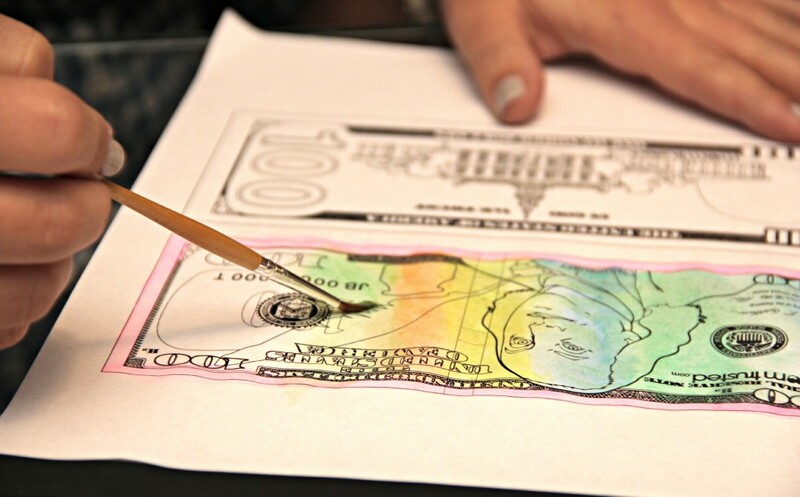 Obviously, download our free new $100 bill coloring page and let the kids decorate their own bills. Great for math lesson, art project, and current events for preschoolers through elementary!